Fungia Plate corals are one of the few types of large polyp stony corals capable of moving themselves and relocating. There is a reason they are kept on the sand bed exclusively. If plate corals are placed on the aquascape, they will jump off of your rock work! 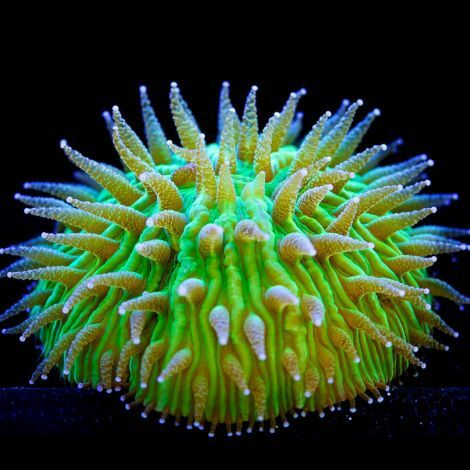 Tidal Gardens occasionally runs into rare color morphs of this incredible coral, so check back often to see our selection of WYSIWYG Fungia corals for sale.